Excellence is our ultimate goal. The CBA is one of 648 business schools in 38 countries, out of 13,000 worldwide, that are accredited by the Association to Advance Collegiate Schools of Business International. AACSB standards require that our faculty maintain academic and professional qualifications and our students achieve the CBA’s learning goals. We are committed to excellence in education, and our continuous accreditation since 1972 is a testimony to the hard work and dedication of our faculty and staff. Admissions criteria vary at CSU, depending on the program to which you are applying. In recent years, students entering the full-time, accelerated MBA had an average GMAT score of 520, an average GPA of 3.2, and an average age of 26. Evening MBA and Fully-Employed MBA candidates entered with a GMAT score of 555 and 536, respectively. CSU’s MBA Career Management Services “is very interactive and helpful with network­ing for future careers.” Besides maintaining an MBA job board and hosting on-campus recruiting events in a variety of business disciplines, they also maintain contact with alumni to encourage networking opportunities. Attending one of the large, campus-wide career fairs hosted by the Career Development Center affords yet another opportu­nity to meet potential employers. In recent years, large companies have visited campus, including Alaska Airlines, Accountants Incorporated, American Capital Group, California National Bank, CVS/Carmark Pharmacy, First Investors, Kelly Scientific Resources, Ameriprise Financial, Boeing, Northrop Grumman, and Comerica Bank. 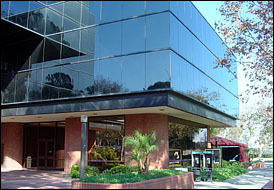 Want more info about California State University, Long Beach, College of Business Administration Full Time MBA? Get free advice from education experts and Noodle community members.